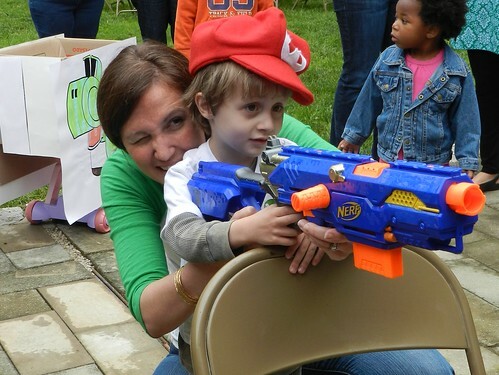 like become an excellent Nerf gun sharp shooter to help make a little boy's birthday awesome. I feel so blessed to be a mother, and so grateful that God chose me to be Henry's mom. I am spending the day with my boys and my own Mama. I will be back tomorrow with a birthday slideshow and a birthday letter, then Tuesday I will post pictures from Henry's AMAZING 4th birthday party.